DLKW Lowe has hired the Dare associate creative directors Dan Harrison and Jonny Watson as its new digital creative directors. The pair will be responsible for leading DLKW Lowe's digital output, working directly with the executive creative directors, Dave Henderson and Richard Denney. Harrison and Watson have worked together since 2004, when they were at Archibald Ingall Stretton. 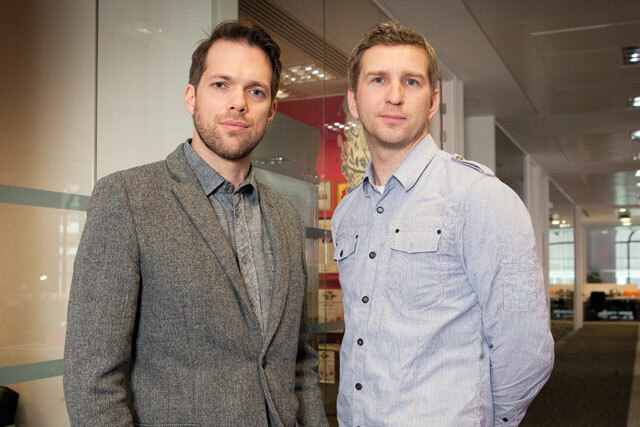 The pair moved to Dare in 2007 and have since worked on campaigns for brands including B&Q, Sony Ericsson and Barclaycard. They were also behind the Vodafone "taxi grand prix" digital campaign, which won a Campaign Big Award in 2009. Henderson and Denney have made a number of changes to DLKW Lowe's creative department since joining the agency in July. DDB's Christian Sewell and Andy McAnaney also joined DLKW Lowe in July, as the head of art and senior copywriter respectively, while Fallon's Jamie Craven was hired in September as the agency's head of design. Meanwhile, DLKW Lowe has appointed Ramiro Amaral as a senior digital strategist. Amaral joins from Wunderman in São Paulo, where he was the planning director, working on clients such as Microsoft and Nokia. He will report to Charlie Snow, the DLKW Lowe director of strategy, and Ash Amrite, the head of digital integration.